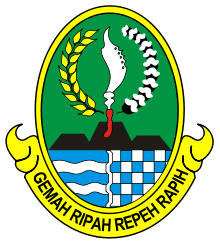 It covers an area of 47,800 km2, According to the 2010 Census estimates, there were 37,476,757 people residing in the East Java, making it Indonesia's second-most-populous province; the latest official estimates (for January 2014) is 38,529,481. 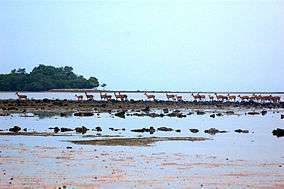 It has a land border only with the province of Central Java to the west; Java Sea and Indian Ocean border its northern and southern coasts, respectively, while the narrow Bali Strait to the east separates Java from Bali. 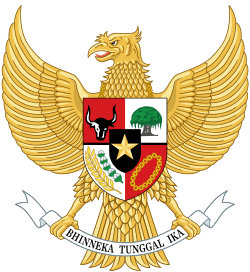 The history of East Java was substantially of the Majapahit Kingdom - which reached its golden age under Hayam Wuruk in 1350–1389. However, after his death, Majapahit was ruined by other kingdoms. Following the European occupation, the kingdom was replaced by the Residency system. 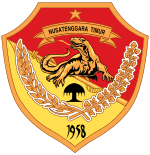 There were eight Residencies within East Java: Bojonegoro, Madiun, Kediri, Malang, Surabaya, Probolinggo, Besuki and Madura. 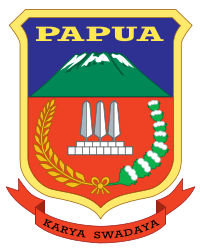 In November 1947, a State of East Java was formed under Dutch auspices as part of the United States of Indonesia. After the Dutch-Indonesian Round Table Conference, many people demanded that the state of East Java should be dissolved and become a part of the Republic of Indonesia. East Java has a famous seaport Tanjung Perak, Surabaya. in 2013, the government planned to build 4 seaports: in Lamongan, Gresik, Tanjung Tembaga in Probolinggo and Tanjung Wangi in Banyuwangi. East Java cuisine tends to be hotter than that of Central and West Java. Rujak Soto from Banyuwangi is also famous these days. 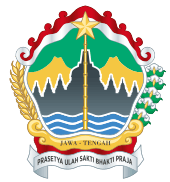 ↑ "East Java vows to top Jakarta, build four ports by 2013". The Jakarta Post. 2011-06-01. Retrieved 2013-12-10. ↑ "Blitar leads economic governance survey". The Jakarta Post. 2011-06-08. Retrieved 2013-12-10.